In Episode 22 we interview Grant Garvin. Grant is the main man behind TempleCon, one of the largest gaming convensions in the North East. Grant shares how he got started with Templecon, and some of the lessons learned. As well as what to look forward to in TempleCon 2009. Later we chat with Andrew "Hacksaw76" Hartland. 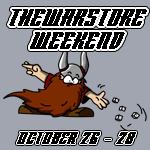 Andrew is a Privateer Press Pressganger and drops some details on the extensive Warmachine and Hordes events that will be run at TempleCon 2009. Keep an eye out for the video version coming soon. In Episode 21 we interview Ross Watson, senior RPG Developer at Fantasy Flight Games and the man responsible for the future of the Warhammer 40,000 roleplaying game "Dark Heresy". Ross talks about his position at FFG and what the future holds for the game. 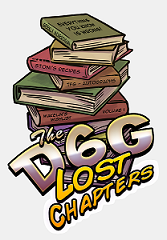 In response to listener requests, the D6G team list what they consider "must own games" for any gamer. Get an idea of what Raef, Russ, and Craig's favorites are, as well as gift ideas for the holiday season. This epsiode also features the world premier of the D6 Generation's first "Not Too Horrible" hit single. Of course, we're using the term 'hit single' very loosely.